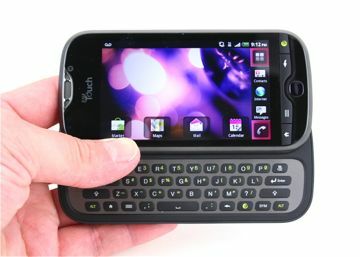 The HTC myTouch 4G Slide for T-Mobile boasts a fast and powerful camera, QWERTY keyboard, and a blazing fast dual-core processor. Phone Scoop puts it through its paces in this full report. The HTC-made MyTouch 4G Slide is the latest evolution of the myTouch line. Follow the path set by the myTouch 3G and myTouch 3G Slide, the myTouch 4G Slide arrives with a slide-out QWERTY keyboard, as well as significant improvements to the camera. Pair these characteristics with the blazing fast data radio and screaming dual-core performance, and the myTouch 4G Slide might be the answer to your prayers. Here is a video tour of the HTC myTouch 4G Slide for T-Mobile. This update adds a host of features to the camera, including swipe shot, HDR, burst shot, and 1080p HD video capture. Hulu recently updated its Android application making it compatibile with four more handsets. All four are made by HTC, and include the EVO 4G, Droid Thunderbolt, myTouch, and G2.